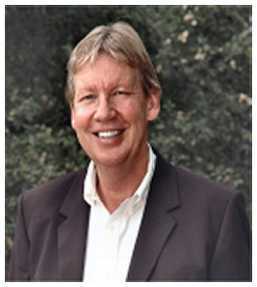 I'm Ron Denhaan, Realtor, your Orange County Real Estate professional, serving the communities of Coto de Caza, Rancho Santa Margarita, Dove Canyon, Trabuco Canyon, and Mission Viejo, Yorba Linda, Irvine, Laguna Niguel, beach areas, canyon areas, and other Orange County, California communities, including north and south. If you are interested in buying, selling, leasing, or relocating to the area, or you are looking for information about homes in Coto De Caza or the surrounding communities, you've come to the right place. Buyers, start with my Home Search Page, to help you find a home for sale or lease. Sellers, find out what your home is worth with a free Comparative Market Analysis. I specialize in leases. Call me today, at (949) 290-3263 ! There is always something new on my web site. Check the columns below for new and previous topics or just call me. Just released! Best rental properties for landlords and investors. Orange County pool homes for sale or lease! Live/work homes for sale or lease! Mid-Century homes and real estate. Homes form the 40s, 50s, and 60s! Wagon Wheel Canyon homes and real estate. Condos and town homes for investors, first-time homebuyers, and downsizers! Complete home buyer resources - A step-by-step guide to help you with your purchase! The Greener Home - Energy efficient solutions that can save you money! Buying with a contingency - What does this mean? Single story & Single level detached homes! Let me help you sell your home as your listing agent! Listing statuses. What do they mean? Golf course view homes for sale and lease! Do you need to do a short sale? Let me help! Seven mistakes to avoid while buying your home! Seven mistakes to avoid while selling your home! Landlords - Let me help you lease your home! What is "Buying a Listing"? Pet-friendly leases in Orange County! Can you negotiate a lease? OC homes and land with Owner Financing! Interested in selling ? Why list your home with me? I specialize in helping people buy, sell, or lease a home in Coto de Caza, Dove Canyon, Trabuco Canyon, RSM, and Mission Viejo. I can also help you if you are a first time homebuyer or are relocating to the area. Please feel free to browse this site, or contact me with any questions you may have. I invite you to search the MLS through this web site. Coto de Caza photo album - Why use a Realtor? - So you want to sell your home yourself? Produced by CDC Technology, Inc.
Ron Denhaan, Coto de Caza Realtor and Coto de Caza home specialist at Realty One Group . If you are looking for a luxury home, an equestrian estate, horse property, golf course homes, a single-family home, a townhouse, or a condo, contact Ron Denhaan. I specialize in residential home sales and real estate in Coto De Caza and surrounding areas in the Saddleback Valley, Orange County, California, If you are looking to buy Real Estate, sell Real Estate, rent a home, lease a home, or look up the CZ master association, I can help you. If you are thinking of buying or selling a home in Coto de Caza, Dove Canyon, Mission Viejo, Rancho Santa Margarita, Robinson Ranch, Rancho Cielo, Fullerton,Yorba Linda, Anaheim Hills, Laguna Niguel, Dana Point, Walden, Trabuco Canyon, Wagon Wheel Canyon, Las Flores, Ladera Ranch, or anywhere else in South Orange County, contact me and you will be provided with the assistance you need. I also specialize in relocation and helping you find the best real estate investment opportunities, Nation-wide. Whether you are interested in a 1031 exchange or your first investment property, call Ron Denhaan, real estate agent. All content on this web site is provided by Ron Denhaan, Coto Realtor, RSM Realtor, Trabuco Canyon Realtor at Realty One Group, specializing in Coto Homes, Coto Village, Rancho Santa Margarita (RSM), Wagon Wheel Canyon, Trabuco Canyon, Dove Canyon, Rancho Cielo, Mission Viejo, Robinson Ranch, Las Flores, Ladera Ranch, and the surrounding areas of the Saddleback Valley. I invite you to search the MLS through my websites. coto de caza real estate is my specialty, along with rancho santa margarita, dove canyon, trabuco canyon, and mission viejo real estate. By submitting any form on this site with your contact information, you are giving permission to Ron Denhaan or one of his authorized representatives to contact you even if your name is on the Federal "Do Not Call List". Ron Denhaan, and CDC Technology, inc., will NOT tolerate piracy, copying, linking, or idea theft of this web site, and will take immediate legal action against offenders. For questions, please contact me and I will be happy to put you in contact with my attorney.